This possibly can’t be the first time you’re learning this but just in case you’ve been living under a naГЇve little rock all of your life, here is the harsh truth: not all people you fall in love with are going to be meant to be with you. As difficult as it may be to swallow, it’s the truth whether you like it or not. Compatibility makes up a huge part of the strength of a relationship. And when two people are just incompatible, it’s going to be near impossible to make things work. However, there is some good news amidst all of these unfortunate truth bombs. Compatibility issues can always be fixed. There is, more likely than not, a solution to every problem that a relationship may face. It’s all a matter of being able to spot the problems early, and making the necessary fixes before the damage becomes irreparable. 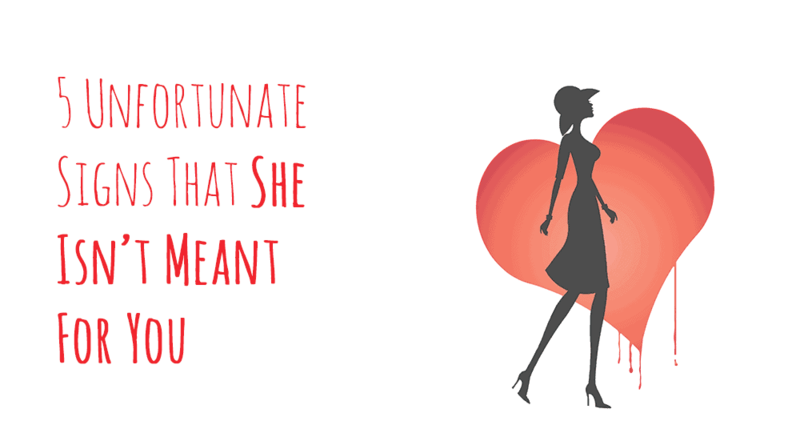 There are plenty of variables to consider when you fall in love with a girl. For one, you have to be in love with one another. That necessarily isn’t always going to be a given. Next, you have to make sure that you are able to meet one another’s standards and expectations. And also, you both have to be willing to actually put in the time and effort to actually make the relationship work because things aren’t going to be easy. They were never designed to be easy. If you don’t manage to tick off any of these things as a couple, then you might as well break things off because you’re headed for a breakup anyway. You shouldn’t be wasting your time with one another anymore at this point. Compatibility is important because it lessens the friction between two individuals in a relationship. The more friction there is, the greater the chances that the relationship might overwhelm the two people involved. You both have to be willing to make some compromises. You both have to be willing to meet each other halfway. You can’t let your selfishness cripple and suffocate your relationship. You have to be able to give your relationship the space, freedom, and flexibility that it really needs to flourish. At the end of the day, relationships are never a sure thing. They are never promised. No one is entitled to the love of another person. And the sooner you come to terms with that fact the better. The best relationships are those that have couples who understand that they have to work hard to keep the flames of their love alive. The strongest couples are those who really push through the many challenges and hurdles that may arise in a relationship. That’s the nature of relationships. They constantly need to be worked on. You should never be trying to change the person you’re with. You should only be trying to push them to be the best versions of themselves. You should never be coercing them to feel or act any different than who they really are. 2. She is someone who you consider as inferior or superior to you. You can’t be seeing your girl as someone who is too high for you because that breeds insecurity. You can’t see your girl as someone who is below you because that screams of abuse. You have to see each other as equals if the relationship is going to work. 3. Her friends and family just don’t seem to like you at all. As sad as it may be, you really have to try to win over the hearts of her family and friends. Sure, it’s possible for you to have a relationship despite her family’s wishes. It’s just much harder that way. 4. She isn’t someone who you can feel comfortable being alone with. A huge bulk of relationships will be spent with the two of you just being alone together. If you find that these encounters are always awkward, you have no business being together in a relationship at all. 5. She envisions a future for herself that is far from what you have planned for yourself. Long-term relationships just aren’t a possibility for couples who don’t share similar visions of the future. You both have to agree on the future that you want with each other if you really want your love to survive. Has this happened to you? Talk to me in the comments below!